Public Meeting – How Can the Palestinians Win? 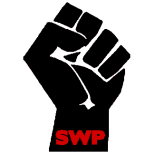 Over the last few years Judith Orr has reported on the Arab Spring from Egypt during the Revolution, is a National Officer of the Stop the War coalition and Socialist Worker has been at the forefront of the solidarity work for Palestine. This is a superb chance to debate the struggle of the Palestinians and the wider issues of the Arab Revolutions. 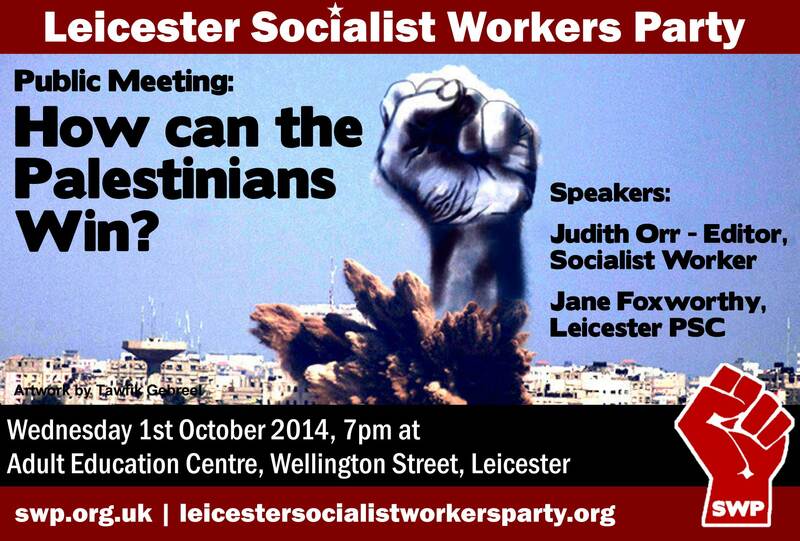 We are also delighted to have Jane Foxworthy from the Palestinian Solidarity Campaign speaking at this event. This entry was posted on Sep 28, 2014 by leicestersocialistworkersparty in Anti-racism, capitalism, imperialism, Palestine, palestine, zionism.